The ultimate healthy green smoothie for on-the-go, made in under 5 minutes with plant-based protein, greens, healthy fats, and fruit! The title says it all. The 5 Minute Spinach Smoothie is one of my go-to green smoothie “recipes” that I make if I’m in a bind and don’t have all the ingredients to make my Stripped Green Smooothie. It’s a great recipe for if I’m in the mood for something else or if I want to share this smoothie with friends and family who are new to the whole “green smoothie thang.” Just like my Creamy Ginger Green Smoothie, this 5 Minute Spinach Smoothie is great to ease into the world of green smoothies with spinach, bananas, and natural sweeteners. Spinach is a great green to use for beginner green smoothies for a couple of reasons, starting with the fact that it’s easy on your blender. Most of my clients and readers ask me about what greens they can blend in standard blenders, and, well, spinach is the one. 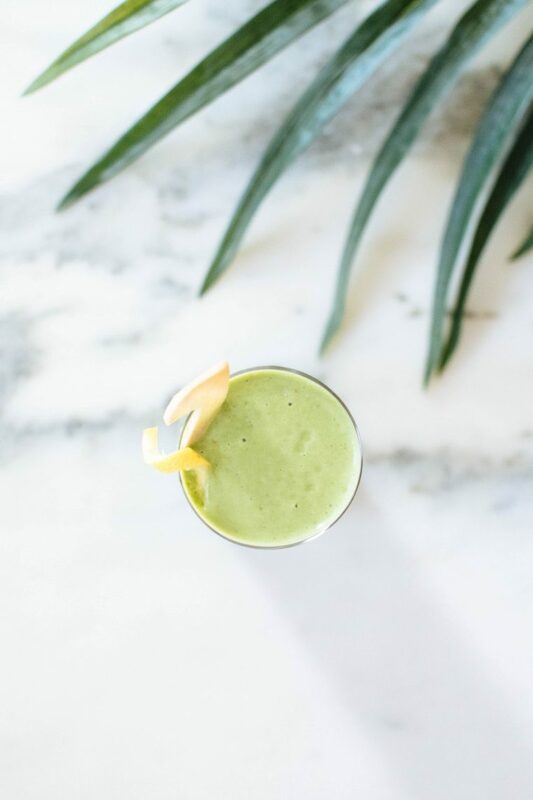 Spinach is naturally very delicate in texture and flavor which brings me to reason numero dos why this smoothie is great for beginners – it tastes great! The slightly sweet and subtle flavor of spinach goes really well with fruits, healthy fats like almond butter or avocado, and especially with plant-based protein powders. They all blend beautifully together for a really friendly spinach smoothie. Spinach is also loaded with nutrients like iron, calcium, vitamin K, vitamin A, vitamin C, fiber and much more. If you haven’t already, read up on why I always have spinach on hand and stocked in my “pantry“. Don’t be afraid of the greens! If I can get my sweet to drink his greens, then trust me you can venture to the green smoothie side or at least try to get the little ones to drink their greens too. I promise they’ll love this one. Here’s the breakdown for this 5 Minute Spinach Smoothie. I group the recipe into several options so you may pick and choose the ingredients to develop your own favorite variation. I’ll share my favorite go-to version of this smoothie in the recipe below as well. Have some fun with it and don’t be afraid to experiment! 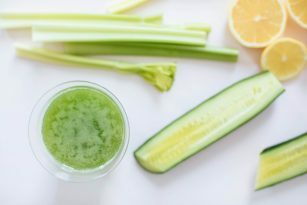 This smoothie is literally a meal in a glass, it tastes amazing and is incredibly nutrient dense especially with the options listed from below. All you have to do is mix is choose from the following to make this “equation” work for your goals. Simple as this. Healthy fat: 1-2 tablespoons of almond butter/nut butter you enjoy, 3 tablespoons of hemp seeds, 1/4 cup of almonds/cashews/walnuts, 2 tablespoons chia seeds, 1/2 avocado, 1-2 tablespoons of coconut oil, etc. Protein: I personally love using Sunwarrior warrior blend with 1-2 tablespoons of spirulina, Vega Sport, or Plant Fusion for a boost in protein (especially if this is post workout). Additional ingredients: you can always choose some of your favorite “superfoods” to add nutrients to this mix. To sweeten you can add dates or stevia, and to boost fiber you can add chia seeds, flax seeds, oatmeal, etc. to make this more hearty and thick. Simply combine all the ingredients in a high-speed blender until thick and creamy. You may adjust for your desired thickness by adding ice or removing liquid- the opposite is true if you prefer it thinner.